I seldom stay out of politics with this blog. With all that is going on in our country, especially on our southern border, I just have to write about it. I don’t need to tell you about what is going on, or who is to blame or who is right and who is wrong, but to remind you that you the reader are not powerless in this situation. It took me a minute to find my power. I saw the news. And more news. Then I heard the tape. I was angry, and in tears. Then I saw those speaking out for the families at the border get attacked, and attacked. I honestly don’t care if this happened before or if some think that what is happening is OK. I care that, in our name, families are being ripped apart and children are experiencing trauma. You, especially if you are as sickened by this as I am, have the power to make change. First, as I often say on social media, I urge you to spend less time attacking President Trump and more time attacking those complicit, the Republicans in Congress. There is an election in November and every seat of the House of Representatives is up for grabs. Do whatever you can to elect someone who is sickened as well and who will not support the President. Next, donate to RAICES or Al Otro Lado. 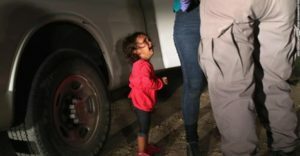 Both groups are working 24/7 to help families who have been separated. While others will spend time blaming, finger pointing, saying things like “Obama did this too” or name calling, we must focus on voting those complicit out, continually telling the stories of families torn apart, and speaking out for those families until they are reunited. 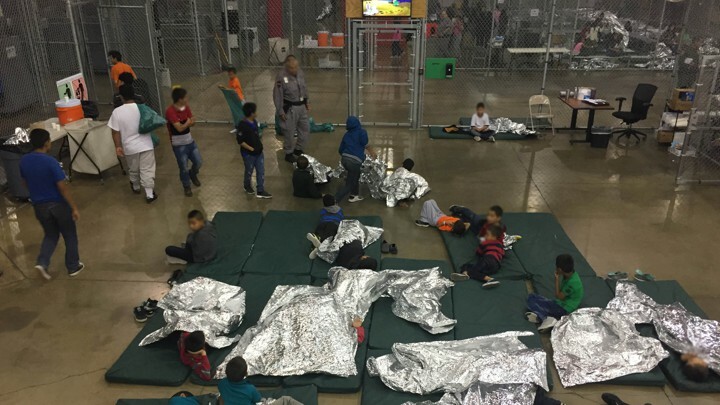 While bickering and fighting go on, children are experiencing trauma, sometimes hundreds of miles away from their parent. The longer they are separated, the better the chances they may never be reunited. Vote. Remember the children. Keep asking about them, about where they are and when they will be reunited. There are many who want us to forget and move on. We can’t.